PARKING Public parking is available in a lot directly across Main Street from the museum. There is limited parking behind the museum for visitors who cannot climb the steps in front. 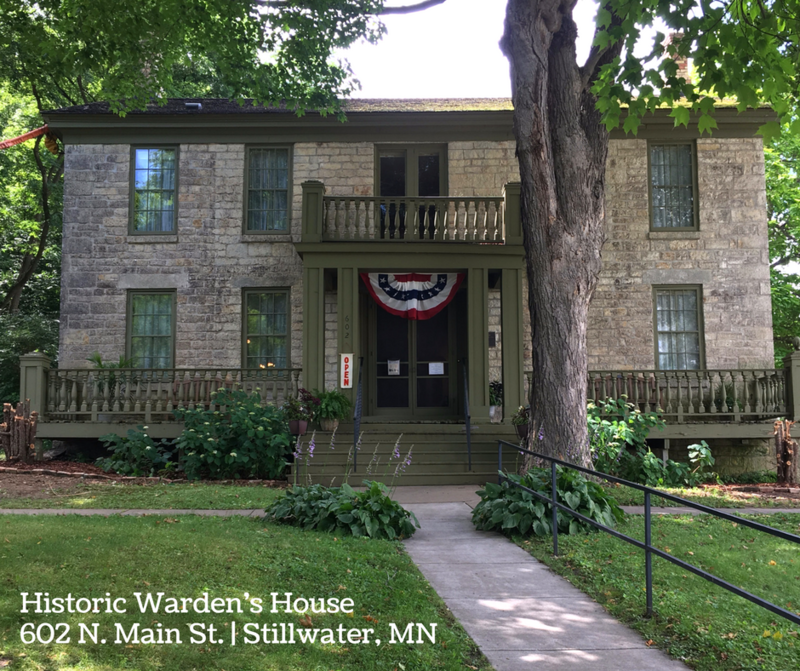 The Warden’s House Museum was built in 1853 as the residence of the Minnesota Territorial Prison warden. Over time there were thirteen wardens that lived in the house until 1914 when the prison moved to its present site in Bayport. After 1914 a Deputy Warden or Superintendent of the prison used the old Warden’s House. In 1941 the State of Minnesota sold the house to the Washington County Historical Society and it was opened as the second house museum in the state in June 1941. The Warden’s House was placed on the National Register of Historic Places in December 1974. The museum consists of 14 rooms decorated in the late 19th and early 20th century style. Many rooms are like that of a upper middle class household while other rooms house exhibits to showcase various elements of Washington County history such as the lumbering industry, the Civil War, and of course, the Old Stillwater Prison. Since the Washington County Historical Society opened the house as a museum, tens of thousands of visitors have toured the museum to learn about the captivating history of Washington County, Minnesota.